gWorkspace: the gTools cloud collaboration platform. gModeller: Extension for Trimble SketchUp to create gbXML and IDF models from your SketchUp model. gEnergy: EnergyPlus dynamic simulation on the cloud. 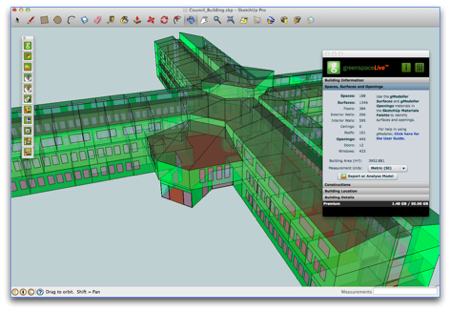 gEPC: UK specific building energy analysis software application incuding EPC generation. gTools have many key features, such as the ability to auto-surface models, cloud collaboration and import/export of gbXML and IDF models which in turn supports interoperability with many 3D tools and energy analysis engines. 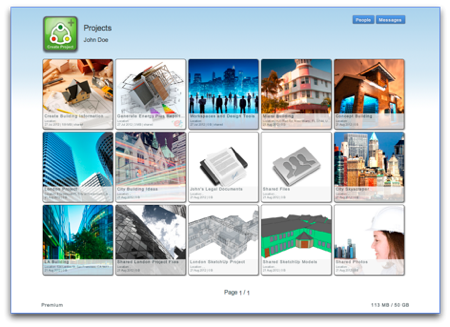 gTools incorporates Cloud collaboration – We use gWorkspace as our cornerstone for building projects, which stores your project files, models and data securely, and also allows any project related files to be centralised and shared between all your relevant stakeholders and employees in each of your building projects. gWorkspace is an online secure cloud based storage and building management system for your building portfolios. Store, access and view data anywhere with an internet connection. Share your building projects with your team. Review your buildings gEnergy runs as well as performance improvements. Cloud Storage. Store and share building information with many different users. File Versioning. Automatic backups allow you to download previous versions of your files. OS, device and application-agnostic. Collaborate with your team using different devices. gModeller is the gTools extension for Trimble SketchUp, one of the easiest and most popular 3D modelling tools in the world. gModeller significantly simplifies the process of performing accurate energy analysis and running early stage “what if” scenarios. Our gModeller extension imports and exports gbXML models, as well as exporting IDF models. Turn your existing SketchUp models into gbXML in seconds using our auto convert tools. Turn your existing SketchUp models into gbXML and IDF in seconds using our auto convert tools. Identify and label model surfaces, spaces, materials and constructions. Store, share and backup your model to our cloud storage system, gWorkspace. Backup your SketchUp, gbXML and IDF files to gWorkspace as you work. 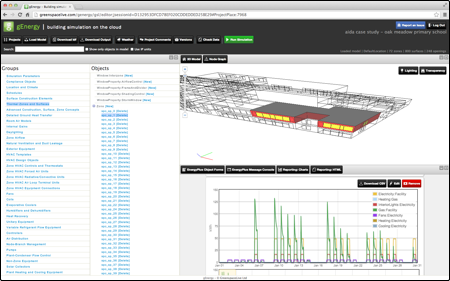 gEnergy: EnergyPlus Building Simulation on the Cloud. gEnergy brings building simulation to the cloud, using all the features of EnergyPlus on the web, accessible anytime, anywhere.Using on-line web collaboration, you can work with, train and support your colleagues and customers in the development of EnergyPlus models. Backup and versioning of your IDF model, with version branching. Secured project data storage using the cloud. 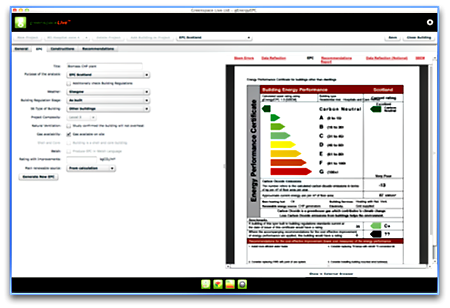 gEPC is the gTools building energy performance software tool validated by UK CLG. gEPC calculates the buildings asset rating and produces an Energy Performance Certificate and Recommendations Report. Unlike other energy software tools, gEPC is cloud-based so that all building projects, analysis runs and energy performance certificates are stored in the cloud. 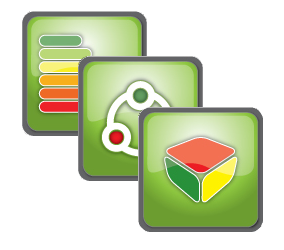 produce an EPC within minutes and automatically stores them online in gWorkspace. Generates advisory Energy Performance Certificate and Recommendations Report. Validated by UK CLG. gEnergy interfaces with CLG's SBEM engine to calculate the building emission rate for the purposes of demonstrating compliance with Part L2 of the Building Regulations in England and Wales, section 6 in Scotland and Part F in Northern Ireland. Store, share and backup your analysis runs and energy performance certificates to our gTools cloud storage system, gWorkspace. Access your data anywhere, anytime online. Building geometry / constructions / glazing / HVAC.